Do you sleep on your back or stomach? If so, then a firm mattress might be just what the doctor ordered for a supportive night’s rest. By definition, a firm mattress offers the least amount of “give” when you push down on its surface. Firm mattress fans make statements like: “I like to sleep on my mattress, not in it” or “Years later, I want my mattress to feel like the day I bought it.” You don’t need to sleep on a carpeted floor to get the level of support you desire. 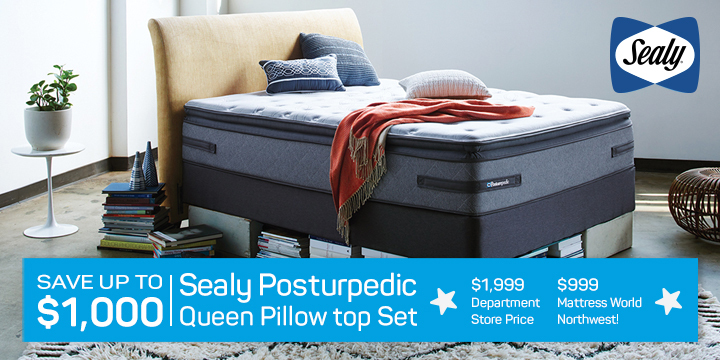 We have high-quality firm mattresses to resolve your biggest sleep issues. As you may expect, there is no universal standard for firmness. Sleeping on a “firm” mattress doesn’t mean lying on a slab of concrete. Each manufacturer sets their own subjective scale, so keep an open mind as you work with a sleep specialist and don’t rely solely on descriptors. Even our “plush” style mattresses run the full gamut between firm and pillow top. According to Sleep Advisor, the majority of sleepers (80%) prefer a mattress that is considered “medium-firm.” Firm mattresses are well-suited for back or stomach sleepers, while extra-firm mattresses work best for heavy or overweight sleepers who require extra support to maintain the lifespan of the product. A firm mattress can be made from innerspring, natural latex, synthetic latex, combination latex, or innerspring/foam hybrid. The best way to gauge which style of mattress you prefer is simply to try them all out in the store. While perusing our selectin, you may want to consider the Indentation Load Deflection (ILD) measurement in comparing different models. 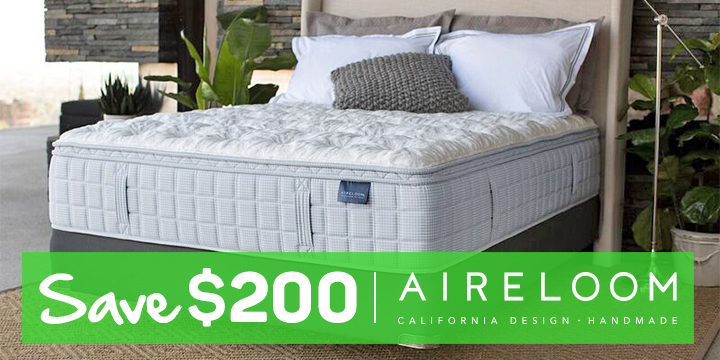 You’ll find mattresses with a combined overall ILD of 31-50 to be in the higher range of firmness. Your spine easily maintains a neutral alignment throughout the night. Proper body alignment allows your lungs to hold more oxygen and enhances deep breathing. Blood circulates freely, preventing numbness, tingling, or pain in the limbs. There is more substantial edge support, which is ideal for sitting on the edge of your bed. Who should buy a firm mattress? In the past, it was believed that very firm mattresses were best for people with low back pain. Today, research suggests back pain sufferers get the best sleep on a semi-firm mattress, rather than the softest or the firmest mattresses. One study of more than 300 sleepers found that 82% of patients with low back pain reported improvement after switching to a new medium-firm mattress, compared to 68% who saw improvement after sleeping on new firm mattresses. Researchers concluded that firm mattresses do not provide enough contour, while soft mattresses bend too much. Equal distribution of pressure for the individual sleeper is the ideal standard for back pain sufferers. A medium-firm mattress allows the shoulders and hips to sink in slightly, without causing aches and pains related to pressure points. Most customers find a mattress with a firm core and thick padding on top to be the most comfortable. Mattress World Northwest carries an extensive line of the best firm mattresses by leading manufacturers. We are confident you’ll find a mattress in our inventory that suits your budget and your needs. 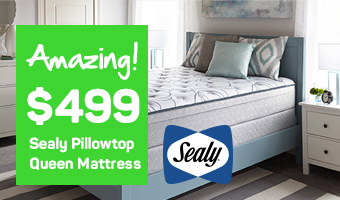 We carry firm mattresses from top brands like Sealy, Simmons, Englander, and Aireloom. Our sleep specialists are standing by to answer your questions about firm mattresses and help you find the key to a more restful, relaxing sleep. So bring your favorite pillow and plop down on our store models for a good 15 minutes to feel the difference for yourself!